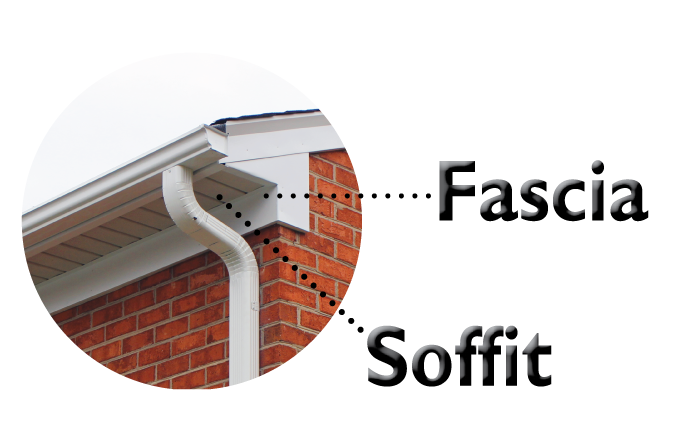 Fascia - Soffit - Fascia And Soffit InstallationGutters & Guards, Inc.
Fascia and soffit is an important part of keeping your home nice and dry while giving it the correct amount of ventilation and keeping moisture out of your attic. New fascia installation is offered in aluminum, cementitious, azak or restoration millwork materials. We also offer vinyl or cementitious product lines for our soffit installations and repairs. For more information about the products we offer you can visit our showroom or call us to set up an appointment for a FREE estimate today. Our sister company, Rempfer Construction, Inc. offers siding, roofing, stone veneer, etc. repairs, remodels, and new construction installation.